We had an incredible experience meeting all of our new Referron members during our private launch at BSI last Monday followed by three days at CeBIT Sydney. You're reading this because you were a special part of our journey. Welcome. In this webinar, we will go through both the Referron app and online dashboard where you can get an understanding of how you can get the most out of Referron to grow quality trusted referrals from your network. You can also invite any of your key customers and partners to this webinar by sharing the link to this page. 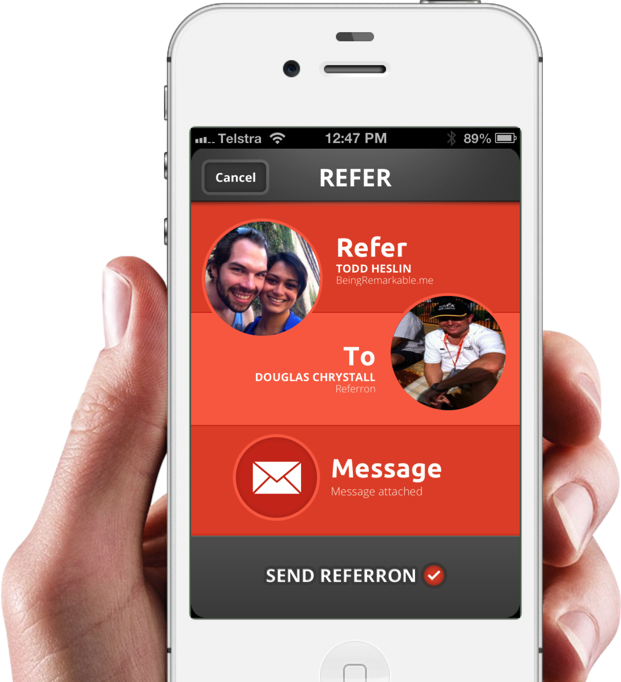 We would love for a big audience to join us on getting started with Referron. Referron will be exhibiting at CeBIT Australia 2013 with our development partners Prakash Software. Register online and put in Cebit73a for a complimentary ticket!